My fourth novel, published on March 19, 2019. Late Autumn, 2028. The War for Identity has begun. 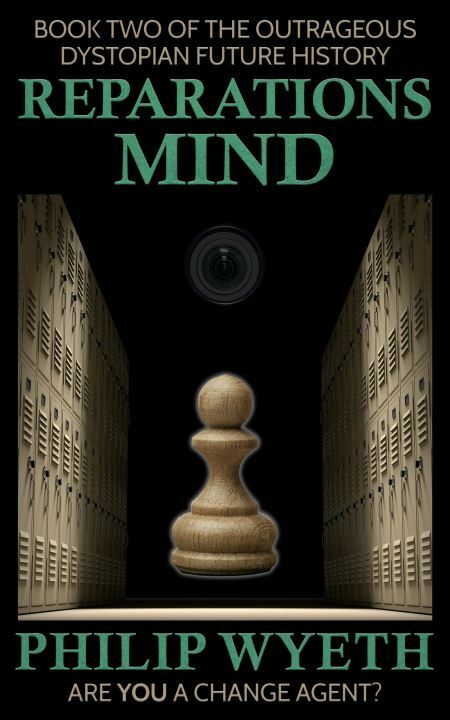 Philosophy and psychology converge in this taut political thriller from author Philip Wyeth. Hands will be revealed… pressure applied… and loyalties tested! President Eileen Jeffries-Lao has been re-elected by a narrow margin, but now her plans for expanding the Reparations program worldwide meet resistance from unexpected sources. An ambitious man of great wealth seeks to tempt defeated presidential challenger Victor Dominguez into a shocking conspiracy. Disgraced FBI agent Marcus Young is given a second chance to prove himself—but only if he can catch a dangerous saboteur in the act! Under the shadow of these macro forces, the diverse cast of “Reparations USA” and “Reparations Mind” must act decisively as events race forward at a breathless pace. “Reparations Core” is an ambitious satire full of richly drawn characters, keen insights, and dazzling sci-fi flavors. You can also purchase the book on Amazon (e-book or paperback), Barnes & Noble, Kobo, iTunes Store , and Smashwords. My third novel, published on October 15, 2018. Greg is a divorced dad who spends most of his time out on the golf course. He and his playing partners at Corona Vista Country Club get drunk and gamble every day after work. But Greg’s foreign girlfriend Karla—who happens to be half his age—also demands plenty of attention. 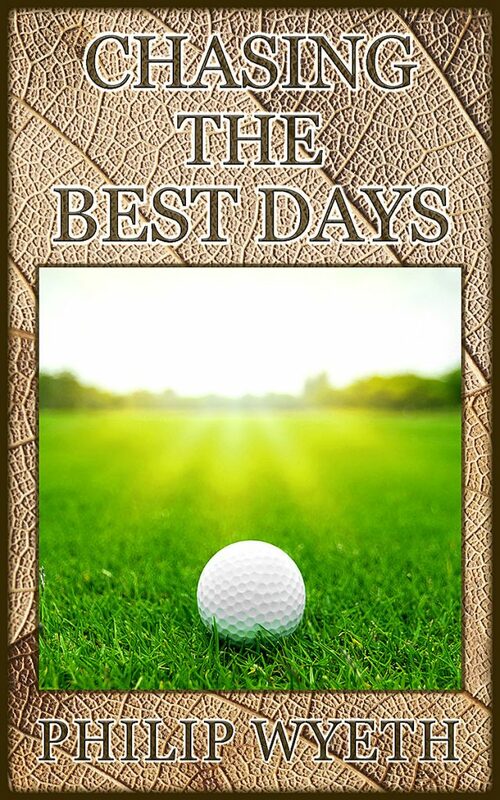 As he fights through crowded Los Angeles freeways and frantically looks for golf deals online, Greg also strives to connect with his sons while fending off the ex-wife—and at the end of the day, just try to make a few putts. The story is darkly comical but always searching, and ultimately paints a sympathetic portrait of one modern American man struggling to keep himself together while making ends meet. Also available for purchase on Amazon (both e-book and paperback), Barnes & Noble, and Kobo, and Smashwords. My second novel and the sequel to “Reparations USA.” Published on April 3, 2018. This is my first novel, published on August 9, 2017. It is future history envisioning what America would look like if reparations for colonialism and slavery were instituted in the mid-2020s. 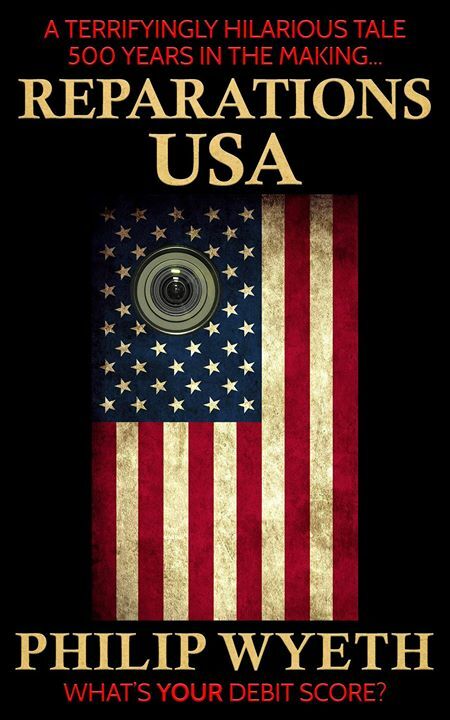 Rather than the backward-looking TV series in development by HBO and Amazon, this book focuses on current social issues such as the concept of white privilege and guilt, the growing surveillance state, and bureaucracies trying to implement massive programs. “Reparations USA” is a wild ride full of heart and humor, and its cast of sympathetic characters will defy your expectations and prejudices. I hope you’ll enjoy this ideology study of how so many millions of white people became brainwashed into adopting the self-effacing persona which embodies the modern American Left. Also available for purchase on Amazon (both e-book and paperback). 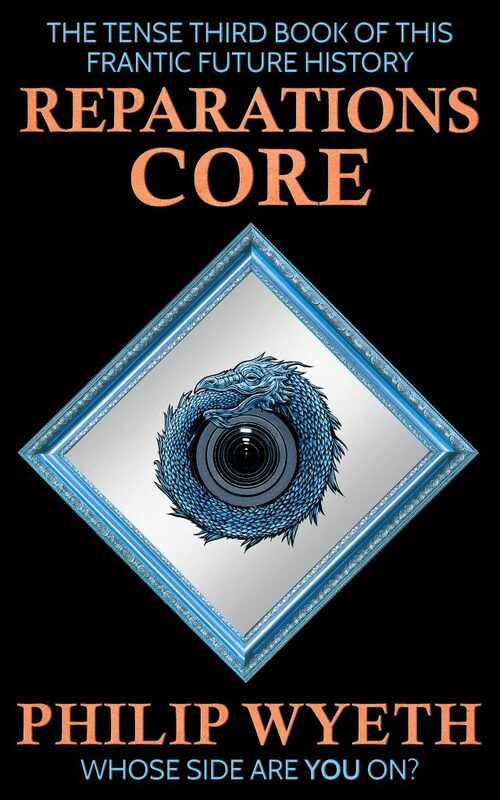 E-book is free for a limited time at Barnes & Noble, Kobo, iTunes Store , and Smashwords.